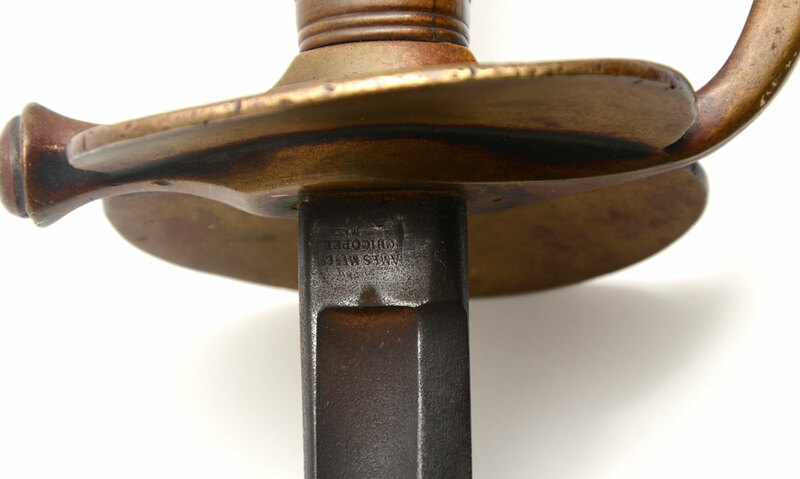 CIVIL WAR AMES MODEL 1840 NCO SWORD: Full cast brass hilt non-commissioned officer's sword, 32 1/4'' blade marked Ames Mfg Co. Chicopee Mass on ricasso, marked US, JH, 1864 verse. 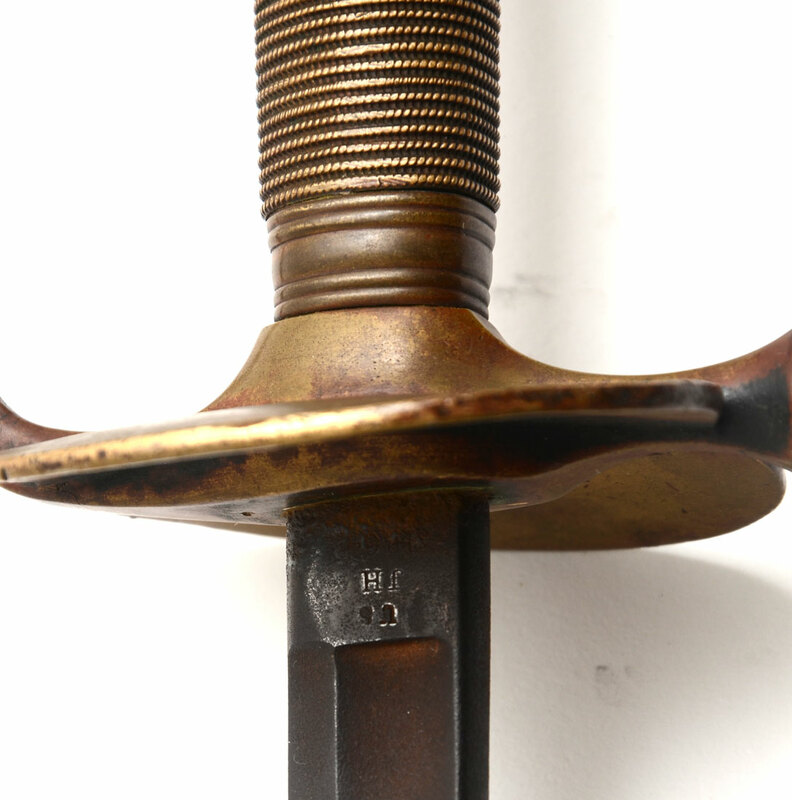 Blade has nice dark chocolate brown patina, overall 39'' long, no scabbard. 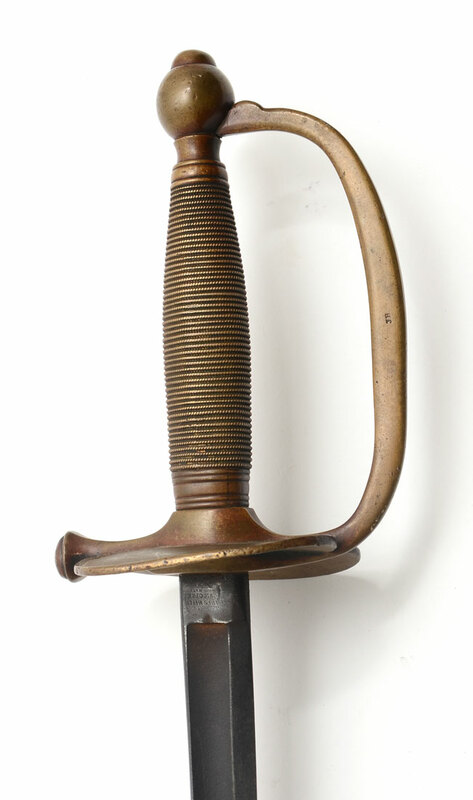 CONDITION: Slight bend to tip, typical signs of use.